The amount of information collected on each of us is growing astronomically every day. What can you do to help protect your—as well as your family’s—information? Note: This information is meant to be a starting place.Technology is constantly changing, so you must consider whether the information provided is timely and applicable to your situation. In order to adequately protect yourself and your family, you also might need to consult with your attorney or accountant or obtain other professional advice. Why do you trust people or organizations? Do they have a legitimate need for your information? Do they have policies and procedures to tell you what they do with your confidential information? When do you trust people or organizations? Do you give confidential information on the phone, in email, texting, or in person? Did you initiate the information exchange? If you don’t feel comfortable, don’t do it. How do you give people or organizations your confidential information? Think about advantages and disadvantages to giving out your information in person, over the phone, in email or in text messages, on a secure website. If you’re uncomfortable giving out information in a particular situation: don’t do it! Find another way to give the information. Don’t leave your electronic devices—cell phones, laptops, tablets, iPads, etc.—unattended in public, including hotel rooms. Don’t ask strangers to watch your things while you go to the restroom or load up on more coffee. Don’t leave your purse or briefcase unattended in public: including shopping carts, restaurants, and coffee shops. Don’t post private information on social websites. Remember you have no expectation of privacy on social websites. Be careful about the information you throw in your trash. Collect your mail as soon as possible. Use vacation holds or have a friend collect your mail if you will be gone for more than a couple of days. Do not announce on Facebook or other social media that you are going on vacation. Wait until you get back to share those fabulous pictures! Keep your electronic devices and other valuables out of sight in your vehicle. Read software and services licenses. Use a password or a pin to protect your smart phone. 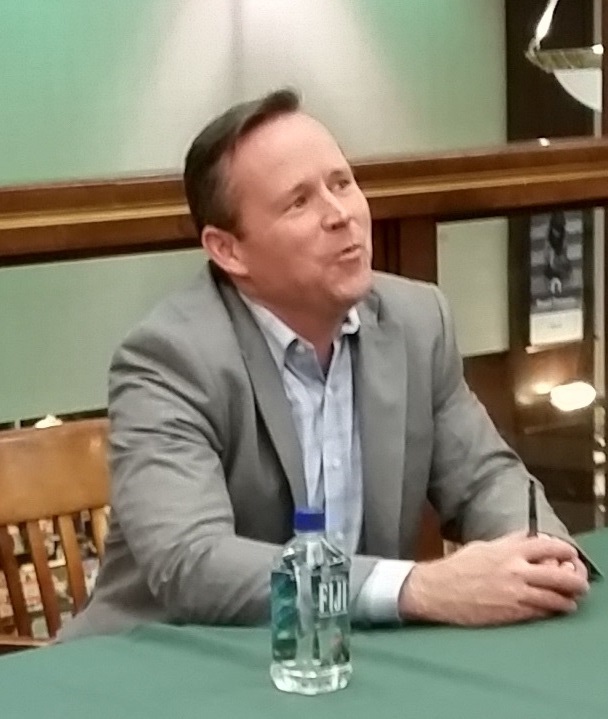 I recently had the pleasure of attending a presentation put on by Brian Krebs, where he also signed his new book, Spam Nation. 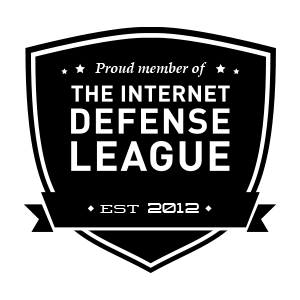 I have been reading his blog, KrebsOnSecurity.com, since I did a paper on the Russian Business Network in 2008 for a class I was taking. His blog is fascinating, and the book is also! The book has everything you’d look for in a thriller—spies, counterspies, theft, drugs, murder, hackers—and it’s all true. Even if you’re not a techie, I highly recommend this book. And, if you’re buying pharmaceuticals from an online pharmacy that doesn’t ask for a doctor’s prescription, I hope this book will convince you to stop. It’s a really dangerous practice because you don’t know what you’re ingesting. According to KrebsOnSecurity.com, Jimmy Johns aren’t the only restaurants to get caught in this breach, which lasted from June 16 through mid-September (dates vary at some locations). Many small restaurants use Signature Systems PDQPOS point-of-sale systems. A total of 216 Jimmy Johns and 108 other restaurants are affected because “an authorized person gained access to a user name and password that Signature Systems used to remotely access POS systems.” This access allowed the attacker to install malware to steal payment card data, containing the cardholder’s name, card number, expiration date, and verification code from the magnetic stripe of the card. I wonder if Signature Systems changed their passwords on a regular basis? Probably not. Did they use two-factor authentication? Long and strong passwords? Did they conduct employee training on anti-phishing techniques? Unfortunately, as of October 28, 2013, PDQPOS was only acceptable for pre-existing deployments. So it’s possible that some of these restaurants may receive fines if the system was installed after that date. According to the NY Times, Target is partnering with a Verizon forensic team to investigate the breach, as well as the Secret Service and the Justice Department. If you would like to learn more about PIN number analysis, read this article http://www.datagenetics.com/blog/september32012/. Nick Berry, the president of Datagenics, also gave a speech on July 23, 2013, on Ted Talks about how to use passwords and be safer on the Internet. Note: the cover might not keep the card or passport from being read entirely, but it will cut down on the distance that the contents can be read at. I do not recommend trying to damage the RFID chip. This story is a timely reminder to keep an eye on your financial transactions!